Well, duh! Anyone who knows me realizes that is the truth. Apparently this was decided on as a theme day by The Craft Yarn Council. The only problem with that is that the people who follow The Craft Yarn Council already love yarn, otherwise… Like having an I love beer day for home brewers. Couldn’t they think of something more creative. But, since I do love yarn, I have this luscious new yarn that just came as part of the Knitterati sock club by Janel Laidman. 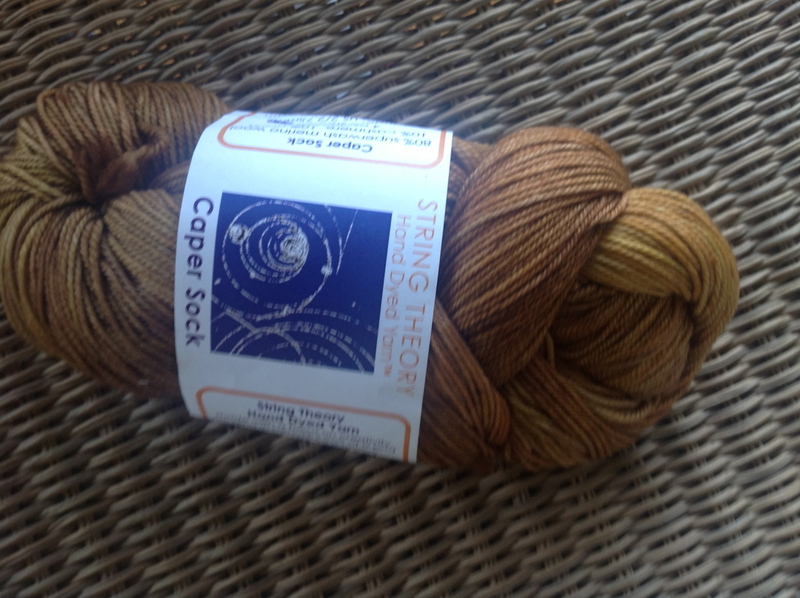 I have made one other pair of socks with the Caper Sock yarn from Sting Theory, and loved them. The color is very close to the colors that I posted the other day which I received from the CookieA sock club, so I guess I will be getting in touch with my earthy fall color side this next month. This package also came with a note card, some stitch markers, and a clear plastic bag from Janel’s new magazine, The Sock Report. 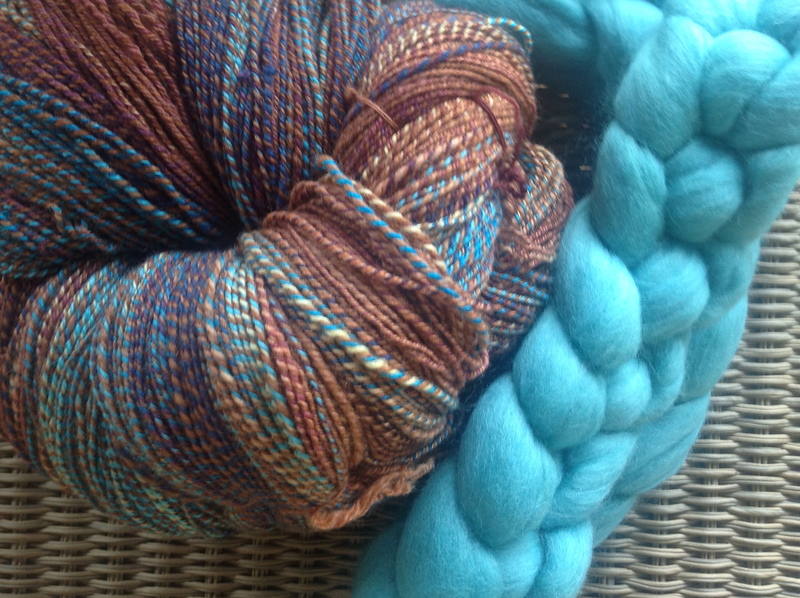 And, I am thinking of spinning up this fiber from Ashland Bay to coordinate with the recently completed Woolgatherings spin. The beauty of this plan is that I can always get more of this colorway if needed, and I think that it is an interesting match. Everyday is I love yarn day!